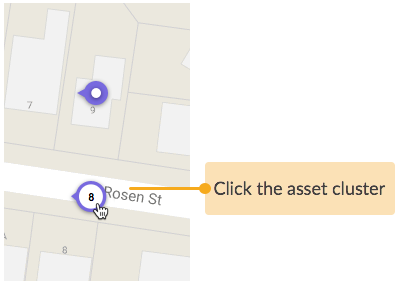 Choose your preferred view of assets, either in a list or on a map. 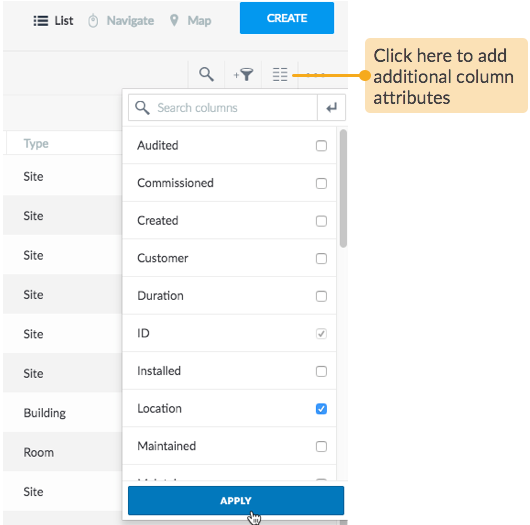 If you prefer to browse through assets based on specific attributes other than the ones displayed on default column headers, you can add or remove those attributes accordingly. 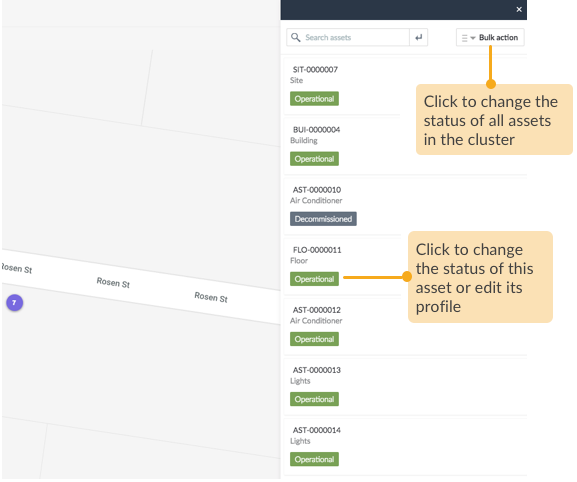 You can switch to Map view for a visual overview of asset distribution across a region. 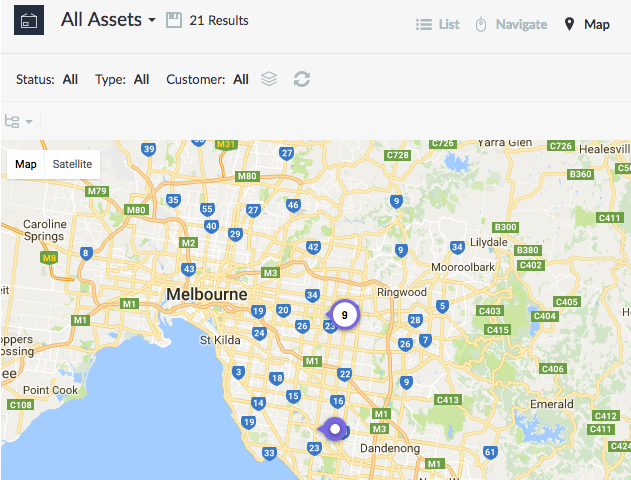 The Map view also makes it easy for you to inspect all assets associated with a particular site at one go. 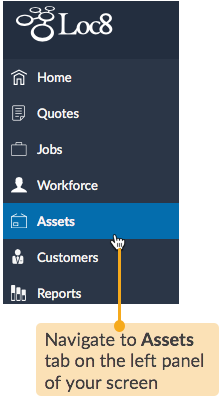 Clicking the asset cluster presents you with individual asset cards showing their current status. 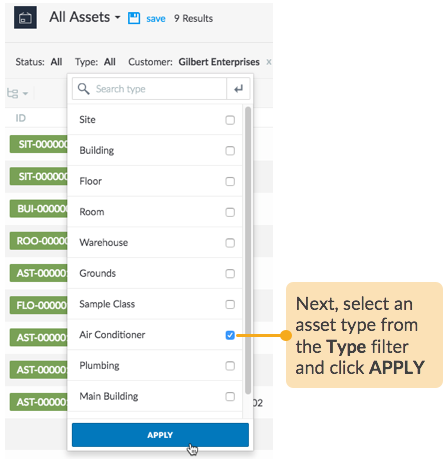 You may change their status all at once through Bulk action or click an asset card to change status as well as other attributes one at a time. 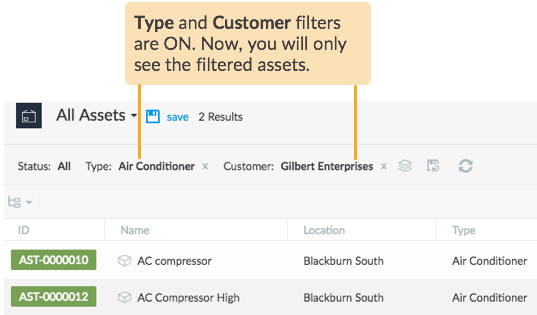 Apply the Status, Type or Customer filters to narrow down the asset view. 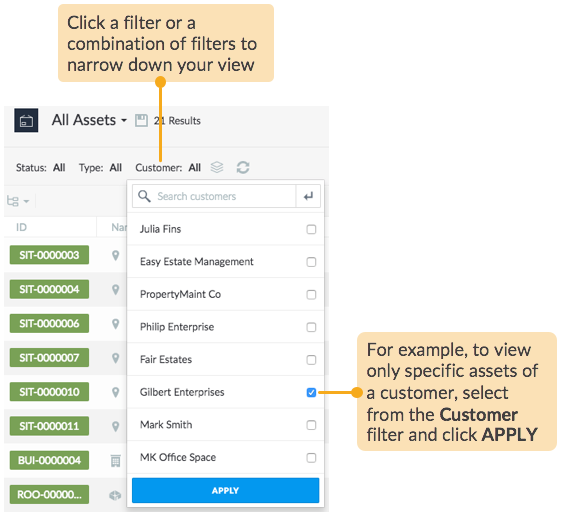 The filters now display only the selected criteria as shown below. If you want to clear a filter, click x.